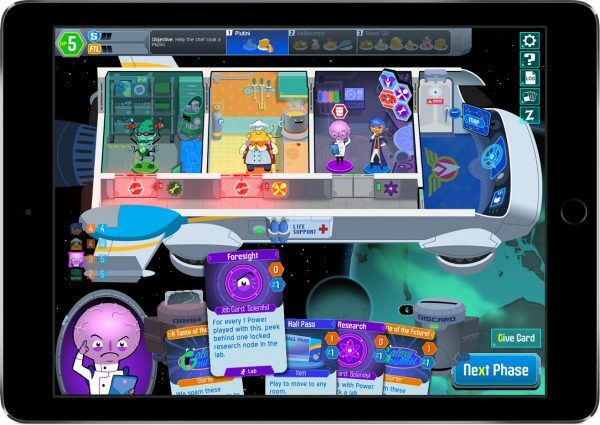 Space Food Truck is out today for tablets! 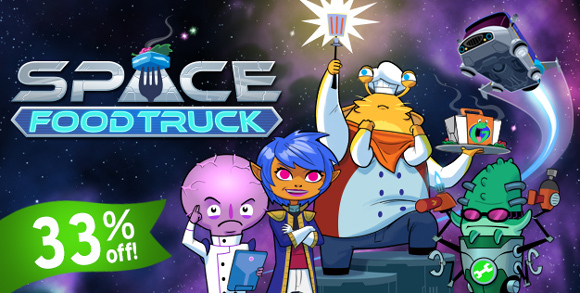 Our cooperative card adventure Space Food Truck arrives on iOS and Android tablets today! Now you can scour the galaxy for exotic ingredients on the go, asynchronously, or pass your device around the room. The game even has cross platform support, so any iOS, Android, or PC user can join your crew if you meet up in the same lobby. With the smaller screen comes a smaller price of just $9.99. PC Version is 50% Off! And for a limited time at SpaceFoodTruck.com, we’re matching that tablet price for the PC version to celebrate the launch! The 50% discount also extends to our 4-pack, which already saves you 25%. We heard you liked discounts, so we put discounts on our discount. No matter what platform you’re on, it’s a great day to grab Space Food Truck. Space Food Truck: Tablet Edition launches in two short days, and this is your friendly reminder to jump onto the One Man Left mailing list. We’ve made a tradition out of giving away free copies of our games every launch day, and Wednesday morning will be no exception. 20 free copies of SFT: Tablet Edition will be painstakingly hand e-mailed to 20 randomly-chosen subscribers. The mailer is, of course, also a great way to keep up with big OML announcements. We’ll shoot off a few emails a year announcing our next project or reminding you the day our new game comes out, so if you like what we do consider signing up! Sorry about the week of silence. We needed some time to get these launch details finalized, and Alex took a trip to Seattle for Steam Dev Days, so we were a little off our weekly blog game. But today we’re happy to announce that our co-op card adventure Space Food Truck is on its way to Android and iOS tablets November 3rd. And with its reduced screen size comes a reduced price of just $9.99! Even better, Alex managed to get the game working cross-platform between iOS, Android, and Steam. It requires you and your crew to manually locate the same session from the Join Game list, but that’s all that stands between you and your differently-deviced friends joining forces for the good of the galaxy. 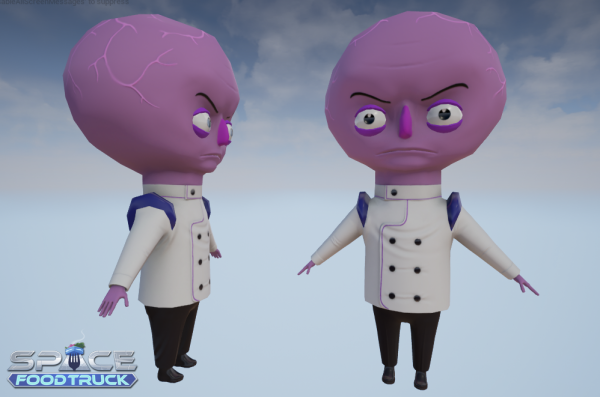 Learn more about the game at SpaceFoodTruck.com. Alex put in a little extra elbow grease to get Space Food Truck running cross-platform! Behold the iOS, Android, and Steam versions playing together in sweet synchronicity. I’m cooking up a fresh press kit as we speak. We should have the tablet version’s trailer and release date ready next week. The trailer for Space Food Truck‘s tablet edition is coming together nicely, it just needs a release date to tack onto the end! While Alex continues to plug away on that front, I’m working on secret things that we can’t talk about yet. It makes for a quiet blog, but you can always sign up for our mailing list to keep up with big future announcements. While I’ve been developing my 3d art skills, Alex has been tinkering away on our next release: Space Food Truck for iOS and Android tablets! Faithful fans from our mobile days can finally get their hands on our co-op card adventure in a month or so. You may have noticed I said “tablets” specifically, and that’s because SFT is a game with a lot going on, screen real estate-wise. Things weren’t really clicking for us on smaller screens, so we made an executive decision to focus on making a great tablet experience. We’ll have a firm release date and price to announce soon! While Space Food Truck is still our current focus for development, we’ve been talking a lot recently about future projects and possibly making a move to 3D. We’ve been flirting with the Unreal engine, so today I got acquainted by finally sussing out a decent modeling workflow for this practice Scientist. 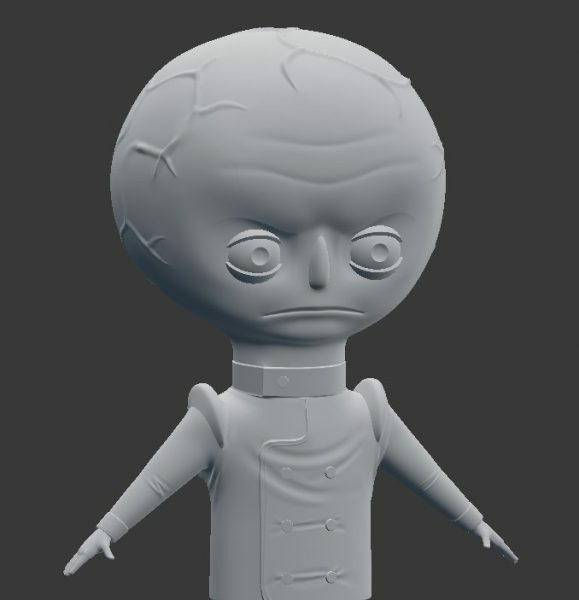 He’s low poly, he’s normal mapped, and he’s got shiny bits defined for the eyes, buttons and shoes. So now that I’ve answered most of my basic technical questions, I’ve just got to practice and get a whole lot faster at this. There hasn’t been much to show or announce recently, which is not to say we haven’t kept busy! I’m struggling to master the art of the normal map in my ongoing 3d education, while Alex continues working on Space Food Truck. What exactly has he been up to since we released the asynchronous update? We’ll be ready to talk about that later next month! It’s been a long time coming, but Space Food Truck‘s asynchronous update has just been soft launched! I guess it’s only medium-soft; I don’t know if you’re supposed to tell people you’ve soft launched something. Anyway, the Online Games section now supports hopping into a live game lobby to play the whole thing now, or joining an asynchronous (your turn/my turn) game to play at your leisure. So what’s the difference between our live play and asynchronous? If you happen to have a few players bite immediately on your async lobby, you can play exactly like a live game as long as the current turn’s player is online. The difference is how we deal with players that leave. In a live game, a dropped player has 60 seconds to rejoin before their slot is forfeited to one of the other players. In asynchronous, when a player leaves the game pauses until they return. Once your turn comes back around, you’ll get a Steam notification. We really want to add a 48 hour time limit to boot inactive players, but we’ve hit some technical snags on that front that we’re trying to work through. There are a few minor visual bugs in the game list that we’ll be dealing with before we call asynchronous “official”, but otherwise it’s been performing really well for us in testing. This update should make it WAY easier for you lonely hearts to find a crew online. If you encounter any weirdness, let us know at bugs@spacefoodtruck.com. Happy trucking!